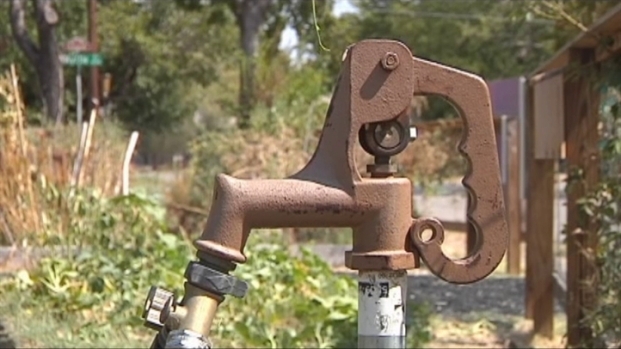 You should know you're not allowed to water between 10 a.m. and 6 p.m., but many water districts have now implemented more stringent water restrictions in light of the excessive heat and drought. Most of North Texas water is provided by both the North Texas Municipal Water District and the Tarrant Regional Water District -- though some cities, such as Dallas, provide their own water from their own reservoirs and lakes. All cities being served by the NTMWD implemented Stage 2 water restrictions Aug. 19 and all cities served by the TRWD are moving to Stage 1 on Aug. 29. Listed below are a complete list of cities served by each district and the restrictions in place in those districts. Further down the page are several cities whose restrictions go beyond those recommended by either the NTMWD or TRWD -- so be sure to check there also for the latest restrictions. Wondering where you get your water? See the lists below. If you live in one of the cities below, your water usage will be subject to at least the minimum restrictions imposed by the NTMWD -- though they may be more severe depending on your local city's requirements. The NTMWD moved to Stage 2 on Aug. 19. With water restrictions across North Texas, it's important to know the rules. 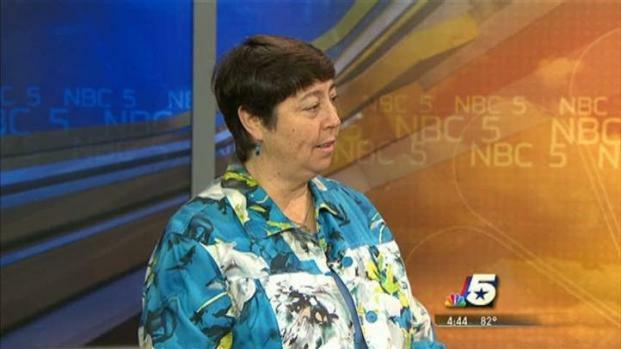 Mary Gugliuzza from the Fort Worth Water Department shares the details. On Aug. 19, the NTMWD mandated that member cities restrict outdoor watering to no more than two days per week. Which days may be mandated by local city government, so consult the list at the bottom of the page for city-specific information. If you live in one of the cities below, your water usage will be subject to at least the minimum restrictions imposed by the TRWD -- though they may be more severe depending on your local city's requirements. Those being served by the TRWD will to go to Stage 1 on Aug. 29 when the reservoirs are expected to drop to 75 percent. The TRWD supplies water to Fort Worth, Arlington, Mansfield and the Trinity River Authority, though both Fort Worth and the Trinity River Authority wholesale water to dozens of other North Texas cities. Fort Worth wholesales water to the following cities: Aledo, Bethesda, Benbrook, Burleson, Crowley, Dalworthington Gardens, Edgecliff Village, Everman, Forest Hill, Grand Prairie, Haltom City, Haslet, Hurst, Keller, Kennedale, Lake Worth, Northlake, North Richland Hills, Richland Hills, Roanoke, Saginaw, Sansom Park Village, Southlake, Watauga, Westover Hills, Westworth Village, Westlake, White Settlement, DFW Airport and Trophy Club. The Trinity River Authority wholesales water to the following cities: Bedford, Colleyville, Euless, Grapevine, North Richland Hills, Ennis, Avalon, Ferris, Italy, Maypearl, Midlothian, Palmer, Red Oak, Ellis County Water, Nash-Forreston, Venus and Rockett Special Utility District. Additionally, Weatherford, Benbrook, Hudson Oaks, Kemp, Mabank, Malakoff, Star Harbor, Trinidad, Exelon, Payne Springs, Seven Points, Tool, Cal Pine/Freestone, Corsicana and Fairfield all receive water from the TRWD. On Aug. 29, all TRWD cities are asked to implement two-day-a-week watering restrictions. Those with even-numbered addresses can water on Saturdays and Wednesdays, those with odd-numbered addresses can water on Sundays and Thursdays. Non-residential customers, including apartments, businesses, parks and common areas may only water on Tuesdays and Fridays. Cities listed below are moving to implement new water restrictions before the dates outlined by the NTMWD and TRWD. If your city is not listed, then there are no restrictions for your city outside of Stage 1, which disallows watering between 10 a.m. and 6 p.m.
Bedford: Effective Aug. 29, those with even-numbered residential addresses can water on Wednesday and Saturday while those with odd-numbered addresses can water on Thursday and Sunday. Non-residential sites, including apartments, businesses, parks and common areas can water on Tuesday and Friday. There is no watering on Monday. 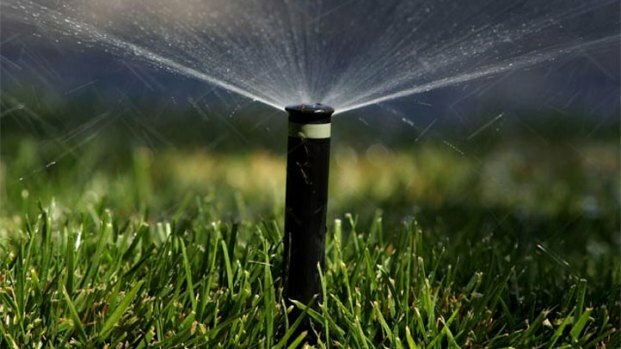 Dallas: Dallas has not implemented any mandatory restrictions beyond the 10 a.m. to 6 p.m. rule, but is asking residents and commerical customers to only water landscapes no more than twice a week. Under the voluntary effort, customers with even addresses are asked to water only on Sundays and Thursdays while those with odd numbers are asked to water only on Saturdays and Wednesdays. If a drought-management plan is triggered, this watering plan will be come mandatory. Read more here. Eastland: Effective Sept. 10, odd-numbered addresses may water on Thursdays and Sunday while even-numbered addresses may water on Tuesdays and Saturdays. Churches, institutional, industrial, commercial and government offices may water on Mondays and Fridays. All watering must be done from 7 to 9 a.m. or 7 to 9 p.m. on designated days. No city supplied water may be used to wash sidewalks, driveways, parking lots or other outside hard surfaces. Read more here. Frisco: Stage 2 water restrictions in place beginning Aug. 19. when outdoor watering will only be allowed on the same day residents receive trash pickup, plus an additional day (find additional day here). Residents can water between 8 a.m. and 10 a.m. and between 6 p.m. and 5 a.m. No free flow, runoff or watering of hard surfaces like streets and driveways. Garland: Specific days for irrigation are not mandated, but it is recommended that those with even-numbered addresses water on Sundays and Thursdays and those with odd-numbered addresses water on Saturdays and Wednesdays. Hand water and soaker hoses are still permitted. Grand Prairie: No watering allowed on Wednesday, Saturday or Sunday. Even-numbered addresses can water on Monday and Thursday while odd-numbered address can water on Tuesday and Friday. All watering must be done between 6 p.m. and 10 a.m. unless a soaker hose is being used. No runoff allowed and no washing of vehicles, sidewalks or driveways. Highland Village: Stage 2 water restrictions in place. No outside watering Monday or Friday. Outside watering allowed on other days between 6 p.m. and 10 a.m. only. No runoff allowed. Irving: Stage 2 water restrictions in place Aug. 11. Even-numbered addresses can water on Tuesday and Saturday, odd-numbered on Wednesday and Sunday. No outside watering on Monday, Thursday or Friday and all watering must be done between 6 p.m. and 10 a.m. -- including soaker hoses. Violators face a $2,000 fine. Kemp: Stage 5 water restrictions. Residents to use water sparingly and are forbidden to water outside. Plano: City is under Stage 2 water restrictions. Those with odd-numbered addresses can water Tuesday and Friday, even-numbered address an water Monday and Thursday. Richardson: Stage 2 water restrictions are in place. Odd-numbered addresses can water on Wednesday and Sunday while those with even numbers can water on Tuesday and Saturday. All watering must take place between 6 p.m. and 10 a.m. There are several restrictions and customers are asked to prevent runoff and to avoid watering on impervious surfaces (concrete and such). You can still wash your car and spray down buildings, but only with a hand held hose with a shut off vale and only on your assigned watering days. Southlake: Even-numbered addresses can water Wednesday and Saturday while odd-numbered addresses can water Thursday and Sunday. Non-residential addresses can water Tuesday and Friday. No watering allowed on Monday. All watering must be done between 6 p.m. and 10 a.m.
Weatherford: Effective Aug. 29, Stage 2 restrictions in place and those with even-numbered addresses are allowed to water on Sunday and Thursday, odd-numbered addresses on Saturday and Wednesday. Governmental entities are allowed to water Tuesday and Friday. Are we missing information on your city? Let us know in the comments below. Additionally, you can come back and search for this article at any time by searching "water restrictions" in the search box at the top of the page.